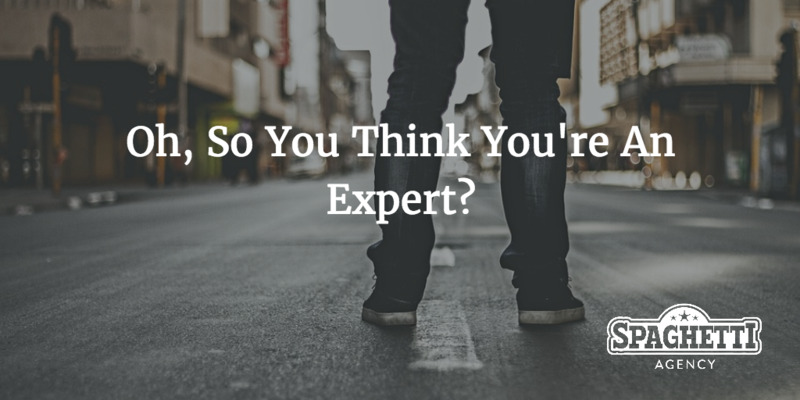 Oh, So You Think You're An Expert? Having worked for a small business environment for over 14 years I’ve come across many new business and many small start-ups. It’s a great arena and I want to say right now (before I head into this blog) that I love the fact we can all start a business from scratch without permission, money, or a care in the world. That’s awesome, and it can lead to great things. But I have a bee in my bonnet and I think it might be of value for you to hear it. There are far too many ‘experts’ and I think we need to seriously think about who these ‘self-confessed experts’ are. So skills, knowledge and a comprehensive and authoritative bank of skills. The type of person you call on when you need really in-depth information or a quote, or even training. Now, I know you don’t have to be given the role of expert, and I know you should aspire to be what you want to be. … Some of them aren’t actually very good at what they do. … And don’t get me started on ‘experts’ in digital marketing! Some of them give talks at any place that’ll have them, and give advice they clearly don’t use themselves. I wish I was further down the line in my business. I wish I could list the ones I’ve seen recently, right here and now! 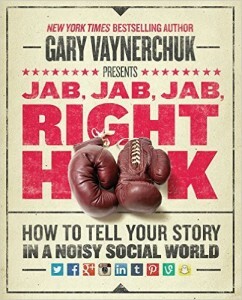 I wish I were in the position that Gary Vaynerchuck was in when he wrote Jab, Jab, Jab, Right Hook and put live examples of brands who cocked up and made lame social media punts. But I can’t. Not quite yet. But I know one day I will… When I no longer care what anyone thinks! Here’s what I can do though: I can give you a heads up! 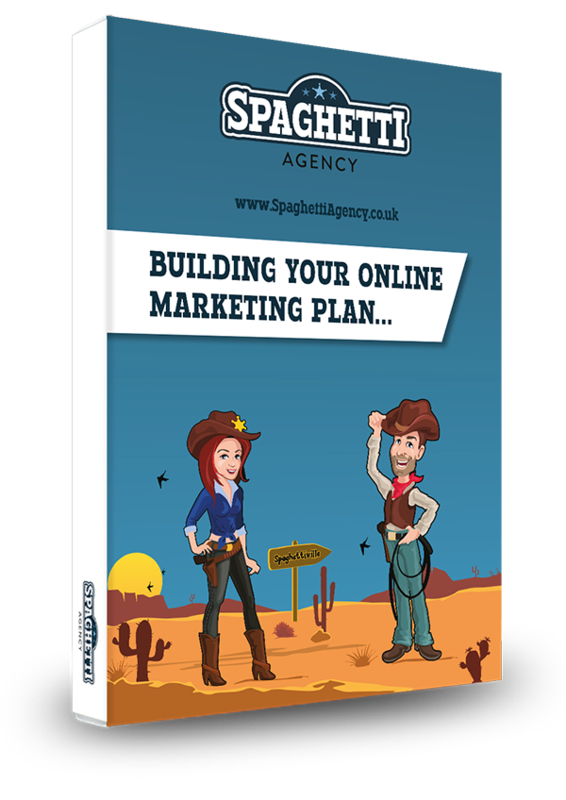 It takes hours to set up a simple website but years to truly fill the boots of the promises written on there. In digital marketing anyone can be an ‘expert’ if they’ve been poked on Facebook or been retweeted by a celebrity. But it takes ideas, planning, failure, guts, determination, and hours and hours of grafting to get any success what-so-ever. If someone is so good at what they do then why don’t they do it for themselves? If they’re a good copywriter why is their blog empty and their about page all about dates, stats and figures about them? If they’re awesome on Twitter how come only 162 people follow them? If they’re a great digital marketing trainer then why don’t they do well in live Q&As? If they’re so great at web design then why are they more interested in ‘how’ they do what they do rather than ‘why’ they do it or ‘what’ they can do for you? 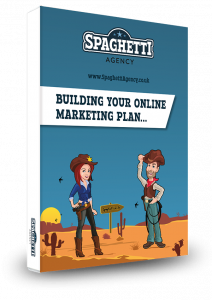 It’s the classic mechanic with a broken car or the builder with a half-finished extension – why would you do that to your brand? Because of time, yes? But why not invest a bit of time making sure everyone who comes across you knows how good you are? We’re not the usual shovel sellers. We walk the walk. If we say we’re good at something then it’s because we’re doing it well for ourselves. We have a brand that we follow through in everything we do because we believe in it and we make damn sure we’re up-to-date on the latest algorithm changes or new social media channels. We believe in what we do… We just wished everyone else did. Go to their website, their social media, or their public talks. Read their content, watch their videos, or ask them questions. Check to see whether the links on their website goes to the correct social media channel. You’d be AMAZED at how often this is overlooked. Attention to detail is important. Test them, try them for free, and get as much info as you can. There’s a reason I don’t mind being Googled – I understand that I need to be trusted first. That’s OK.
My question to you is: how do you know they’re an expert? Why would you chose someone to do something they don’t so themselves? I like to think that a chef should be plump, a mechanic should be dirty, and a holiday sales rep should have a tan or a passport full of stamps. Is it just me? Or are they more believable when they say they’re an expert when they actually do a lot of what they say they’re an expert in? I’d be interested in your comments on this one…. Please comment below and let me know what you think. Am I wrong to say this? Or are you sick of the deluge of experts? Well said Todd – very true! Made me laugh as my bf does Mechanics and Bodywork & my car currently has a battered front end due to someone rolling back into me…. still waiting for him to get the ‘time’ to repair it 2 months down the line….! So I can hardly advertise what he does whilst out in my car! It’s true though, right. Why would you trust an expert who sells financially free for life tips… but still works hard? One that made me laugh the other week was an ‘MP’ on Twitter…. their first name and surname didn’t have capital letters at the beginning! :/ I would be brave enough to name & shame this person but I forgot their name!!!!! How can they represent an area if they can’t represent themselves very well!!!! Now that IS bad. Our local MP is actually rather good on his Twitter. It’s such a risk to use Twitter and then be really bad at it. It doesn’t mean you’re bad at other things but you will get judged because of it! This is so true, well said, and it does make a lot of sense. I have never needed to go and look for work. I am not saying I am the best, but, I got most of my boxes ticked off. I just need to tick ✅ of the one that says I am an expert now. Great post and you are right on every point. I will shuffle off now and do some more tweets and FB posts!